Cecil Skotnes (1 June 1926 – 4 April 2009) was a South African artist known especially for his painted and incised wooden panels, striking woodblock prints, public murals, tapestries and sculpture, and who pioneered a way of producing art that used earth pigments and indigenous wood to construct visual stories about the African past. He was the cultural officer at the influential Polly Street Art Centre and a founding member of the Amadlozi Group. Among his best known works are The assassination of Shaka (1973) print portfolio and his twenty-four large incised panels installed at the 1820 Settlers monument in Grahamstown. He was born in East London, the son of missionaries. After finishing school, Cecil worked for some months in a draughtsman’s office, leaving this in 1944 to join the South African forces in Europe. He returned to South Africa and completed a BAFA at the University of the Witwatersrand in 1951. His early use of the medium of woodcutting soon translated into a focus on the block itself. Instead of cutting the block and then using it as a means to an end – the print – he began to colour and shape the blocks, using them as a surface for paint and dry pigment. He also began to work in mural, and carried out many public commissions in this medium. Through all these years Cecil Skotnes was as well known as a teacher and mentor as he was as an artist. 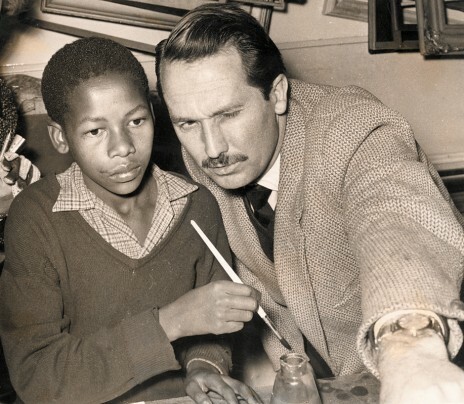 His lifelong mission was to nurture talent and encourage creativity, particularly in places where the apartheid government had deliberately excluded this possibility. His career was a rich and rewarding one from which many benefited – his family, his students, young artists, his friends and those who have bought and bartered his work. 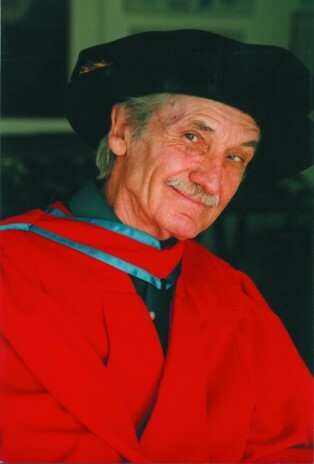 His contribution has been recognised by all those who loved him and his art, by universities who conferred honorary degrees on him and by the State President with the award of a gold medal for service to the country and, in particular, for his contribution to the de-racialision of South African art.